Growing a thick and healthy beard is one thing. Keeping that beard looking great is something else entirely. Whilst there are a wide range of oils and balms and even nutritional supplements designed to do just that, many men are really looking for assistance in one key area. What they are looking for is help to straighten their beard, and that is what we are taking a look at today. In this article we are going to evaluate seven of the best beard straightener products on the market today. 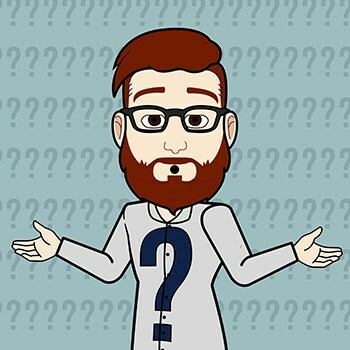 So read on to find out which one could be the best product for you and your beard. 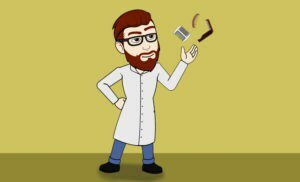 It’s highly recommended that you read the section on things to consider when buying a beard straightener, as well as all the reviews, to assure you get the right beard straightener product for you. But if you are short on time, below are 3 great options that will not let you down. Before we get to our beard straightener product list, in this first section we’ll highlight the features that you should bear in mind whilst reading our reviews. 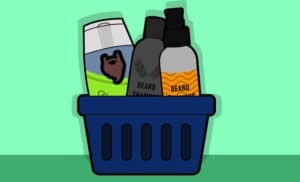 Remember them, and they will help you to find the right product to suit your needs, as each feature will be more or less important depending on what you’re looking for and also what will be most suitable for you and your beard. 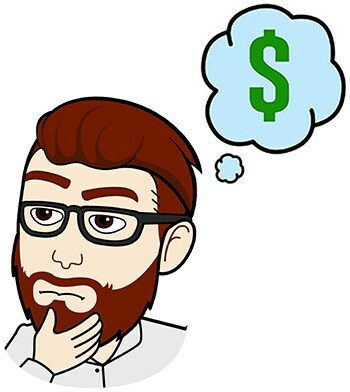 Probably one of the biggest considerations when you are picking out the right product for you, is the size of your beard. 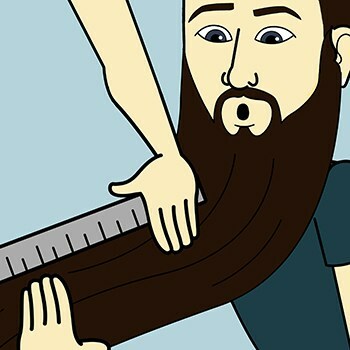 For example, products like the AMOVEE flat paddle style of hair straightener is going to need at least a medium length of beard, we’re talking an inch or more minimum. 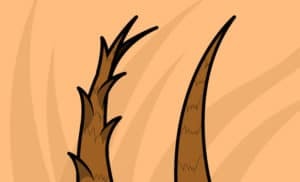 It needs that amount of hair, as it requires a certain length of hair to grasp and heat. On the other hand, shorter beards can be worked with brushes and combs, and often held in place with balms or oils. The balm we will be looking at below for example, from Prophet, is a great example of this. It has a mild hold, which is sufficient to straighten and style a shorter beard, but will struggle with longer and thicker ones. You need to ask yourself how long do you want to spend working on straightening your beard every day. 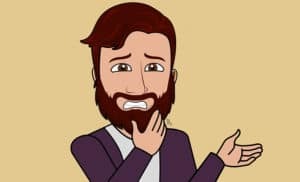 If you want a simple solution, keeping your beard shorter could mean you just have to give it a quick brush and/or throw on some oil or balm in the morning. At the other end of the spectrum, you could have a longer beard and require more of a heat treatment. We have a number of heated tools below designed to bring this heat to help tame longer beards – but expect to spend a little more time doing so. 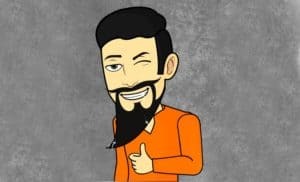 Finally, for those who want straight beards with minimal effort, you have the semi-permanent results you can get from beard straightening cream. These products can have their own drawbacks though, which we will get on to in the reviews below. 3. 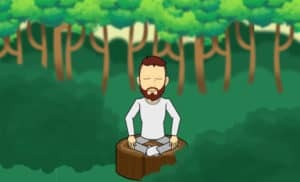 Where Are You Working? Don’t straighten your beard in the car, but the others are places most of us have to squeeze in our maintenance regimes. This is a very simple point; so don’t shout at us for making it. 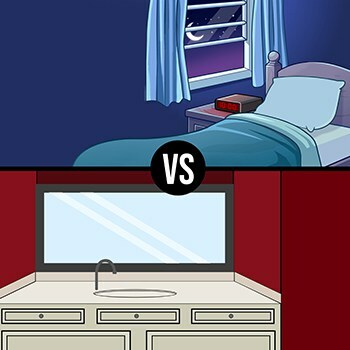 But don’t buy an electrical device if you are going to struggle to plug it in near a mirror or in an area you can work undisturbed for a little while. Brushes and combs may be under-powered compared to heated tools, but they are also very easy to use just about anywhere. 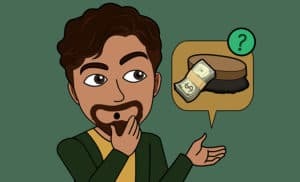 If it was just a matter of price when buying the best product, we’d just tell you to rub Beluga Caviar into your beard. Even if it doesn’t straighten the hair, the smell alone is widely known to drive all Russian underwear models wild. At the end of the day, isn’t that what’s most important? We don’t want you dropping huge bucks on products that make outlandish claims. In our reviews below we’ve managed to pull items that combine value for money with the ability to actually do what they say they will do. At the same time, don’t be scared to drop a little cash if needs be. If you like a product, go for it if you can afford it. It could help make your beard look great for the rest of your life. If you think of it like that, it’s actually a pretty good investment. 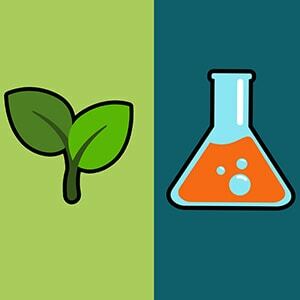 Are you looking for a natural or chemical solution? That’s a question you need to ask yourself, because some products are certainly more chemical laden than others. If you think about it though, everything is a chemical – even water. What we mean here is do you prefer a manual, tool style of straightening device? In that case we have a range of brushes and combs and heating tools for you to take a look at. If you prefer a chemical option, we have balms, oils and even the aforementioned beard straightening cream to show you. Of course, if you’re not sure which you prefer, then simply read on for a comprehensive guide to the best beard straightener products on the market right now. We’ll kick off with this product from Andis, one of the more high tech ways to straighten your beard. 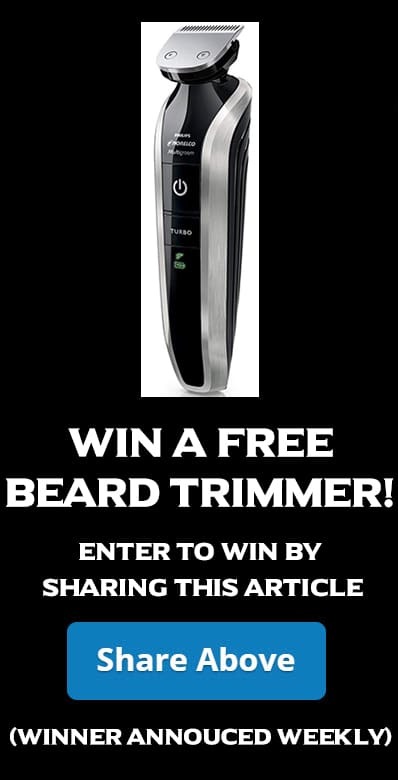 Any man looking for a fast and convenient way to tame and straighten a longer beard. When it comes to straightening hair, whether for men or women, heat can be a key ally in this battle. This is because of a protein called Keratin, which makes up a large proportion of the mass of each strand of hair. Apply heat to Keratin and you start to break down the hydrogen bonds found in its chemical formula. Do that and hair becomes pliable and easy to straighten. The same principle that women use when they apply straighteners to their hair also applies when you are looking to straighten your beard. That is why there are so many heated beard straightening combs on the market today. Of all the options though, this offering from Andis is our favorite. It is packing a lot of very useful features and design points. For one thing, we were very impressed with the temperature range it is bringing. A Max temperature of up 405 Fahrenheit is actually going to be too hot for most beards, but it is indicative of a device with the power to reach any useful temperature that you may require. There are also extremely impressive controls placed on that power. There are no less than 20 variable heat settings, and temperature control between each one is very precise. That is going to allow you to find the exact temperature you need to straighten your beard without damaging it. Add in a top quality ceramic comb which does a great job of dispersing the heat through your beard hairs and this is one top quality tool. More of a beard jelly than a traditional beard oil, this product from Bossman is easy to apply but designed to provide effective control for short to medium beard lengths. Any man looking for a simple and straightforward way to straighten and manage their unruly beard. From a very high tech device that puts a lot of straightening power right into the palm of your hand, this next product is a far simpler affair. Whereas the heated beard straightening comb required a lot of practice to get it right though, that’s not the case here. In fact, that is very much the selling point of this particular offering from Bossman. We’re willing to bet that a lot of you are already using beard oils, since this simple product is one of the cornerstones of good beard maintenance. The best part of this product then? Almost all of you know how to use it already. There is no training time, you don’t have to practice it. But what exactly is it and what is it doing? Well this is first and foremost a beard oil. That means it is packed with natural oils to pump moisture into your beard and sooth your skin. But this is also a jelly style of beard oil. This in turn means that it is extra thick, and that is why it can help to straighten your beard. When you apply it, it is rather like putting product into your head hair to style it. It removes fluff and curl by introducing concentrated moisture. You can even comb or brush the product through your beard for an even greater straightening effect. This is not the most powerful straightening item on our list. It is however very easy to use and, coming in a huge 4 Oz. bottle, also provides excellent value for your money. See the consensus of over a thousand customer reviews on Amazon. Next up we’ll take a look at another product that should have a place in the armory of any man who wishes to maintain their beard. The fact it can also be used to straighten it explains its presence on our list today. Any man looking for a top quality beard straightener brush to help straighten and maintain their mane. As we said above, a top quality beard brush should be part of the armory of every man looking to effectively clean and maintain his beard. Let it not be said that we here at Prim and Prep are not prepared to hammer home a good message. If though you don’t yet have a great brush, then we would definitely suggest taking a closer look at this one from Grave Before Shave. 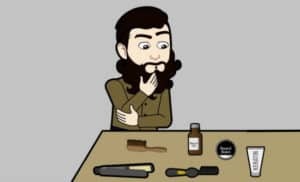 Not just for it’s ability in terms of overall beard care, but also because it can be a very useful tool when you are looking to straighten your beard. 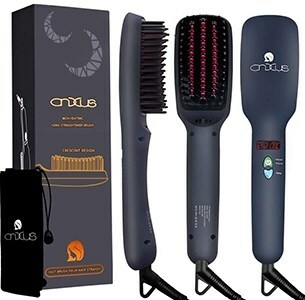 As a brush, there are a lot of features about this product we like. The bristles are of course where these types of tools make their money. In this instance, we have a head comprised of lovely, stiff boar bristles. This all-natural material is one of the best you can get when it comes to bristles that will take care of your beard. They have the strength to power through knots and, when combined with a hairdryer, you can use this brush to straighten and tame a curly, unruly beard. This brush also gets bonus points for being animal cruelty free, with no boar harmed or killed in it’s production. It’s great too at helping to work balms and oils through your beard, which can also be a big aid during the straightening process. The brush is comfortable, easy to hold, and feels nice in the hand too. See the other impressive customer reviews here on Amazon. It’s time for another beard straightener brush. Yes that’s right, we’ve got two similar products in a row. This one though is hiding a few extras under the trunk. Any man who thinks a brush would be useful for straightening their beard, but is looking for a little extra power too. This brush is like Robocop. The brush above, the normal one from Grave Before Shave, is when Peter Weller (we don’t recognize the existence of the remake) is a normal cop; it’s effective but ultimately a little under-powered. Now here we have the Robocop version, a brush backed up by the power of technology. That technology is bringing heat to the party, which, as we described above, is extremely effective when it comes to straightening beards. What we were really impressed with here though is the ease of use of this device. Partly that ease comes from the fact that is just a very well designed little tool. It has a great heat range, for example, capable of heating to anywhere from 300 to 450 Fahrenheit. All of this is controlled via a simple button interface, whilst a small LCD screen tells you the current temperature. There are also a lot of safety features that impressed us. Chief amongst them is the fact this is a brush. 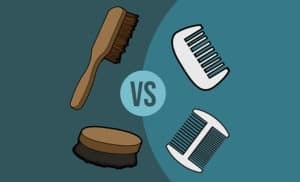 That means that the plastic bristles of the brush keep you skin away from the heating element, whilst also dispersing that heat through the beard. This means that the brush is both very effective but also very safe. You have much less chance of accidentally burning yourself with this tool than with some others. The other reason this device is so easy to use is the fact it is its heart, still a brush. We all know how to use a brush, right? Well this is exactly the same, a product that is easy to simply pick up and start using with little practice or prior knowledge required. See what hundreds say per the reviews here on Amazon. Next up we’re going to take a look at another tool-free way to straighten your beard. This balm is certainly simple and easy to use, but what else is it bringing to the table? Any man who wants a beard that looks shiny and well cared for, with an added element of hold and control to style the beard straight. We turn to another product that is designed to bring hold and styling ability to your beard. Just as with the beard straightening jelly we looked at above, this is a tool-free application method. 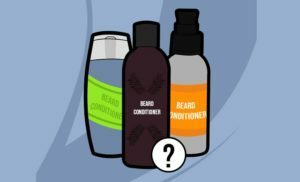 Of course, you may like to add a beard straightening brush or comb to your beard styling routine for added control, but in many cases, it probably won’t be required. That is because what we are dealing with here is a quality balm. 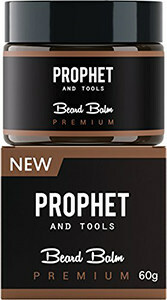 Produced by a company called Prophet, this is a beard balm with a number of great features. Chief amongst them is the ease with which it can be applied. You just take a little pea-sized amount of product on your fingertips. Roll it around your hand a little until it melts then run it through your beard. It frankly could not be simpler. But, as this balm is designed to provide a certain level of hold, it is also very effective at working styles into your beard. That includes of course simply straightening out your beard, making this balm an effective beard straightener product. It’s also 100% Organic, something that we frankly love to see in a product that will be spending a considerable amount of time in contact with your hair and skin. 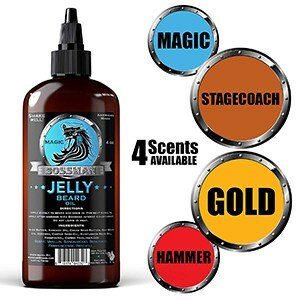 Add in the fact that this product is designed to melt into your beard to really bring out its vibrancy and help make it look shiny and well nourished, and this is a premium quality option for straightening your beard. We’ll take a look at another electrical product now, the last powered device to make the list. But we’ve saved something special for last, a device that is very well designed but also won’t break the bank. Any man with a longer beard who is looking for the ultimate way to apply the straightening power of direct heat without paying too much. 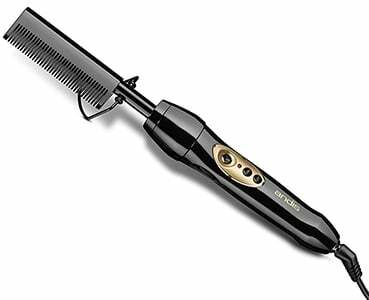 A flat iron style of hair straightener is pretty much the NAVY SEAL Assault Team of beard straightening tools. Are we overplaying their abilities a little? Ok, maybe just a tad, after all, it’s unlikely that you could take out Bin Laden with a set of hair straighteners. 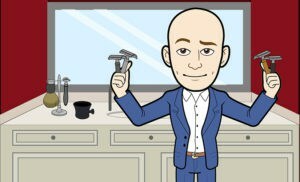 But at the same time if you are looking for a tool that is really going to help you tackle a wild and unruly beard and help straighten it out, then this tool here could be the one for you. It is a powerful little device that is capable of generating heat up to 410 Fahrenheit, more than enough heat for even the wildest and toughest beard hair. Did you see we said “little” above by the way? Well we weren’t joking around, this device is tiny, less than eight inches in length. For us, this tiny size makes it perfect for work as a beard straightener tool. This size gives it the maneuverability and flexibility to work in the smaller spaces around your face and under your chin. We were very impressed with the free heat resistant glove. Since the technique behind using a flat iron straightener is more hands on than with other devices, this glove is invaluable in helping to prevent painful burns. We really love this device. We’ll be frank with you; it may struggle to tackle shorter beards. The way this straightener works is to clamp the hair between it’s ceramic plates. On a shorter length of beard it simply won’t have the purchase to grip the short hairs and straighten them out. But for thicker and fuller beards, there aren’t many, if any, better tools on the market right now. Add in the crazy low price too, and this is a real winner. See the collective opinion of hundreds of customer reviews here on Amazon. We’ll end the list with something a little different. This product from Peter Coppola is designed to provide a long-term solution for those looking to straighten their beards. Any man who doesn’t want to be working on straightening their beard every day. This product is designed for men who are not keen on having to straighten their beards every day. If straightening your beard on a daily basis sounds a little time consuming, then take a look at this product from Peter Coppola. This is a Keratin treatment in a tube. Because of that, you can kind of look at this product as a heated beard cream. It is designed to work on and relax the Keratin in your beard in the same way as a heated tool. What this cream does though is to deliver those straightening effects with a long lasting lifespan. Peter Coppola say this cream can smooth away frizz – and deliver a straight beard – for up to 60 days. 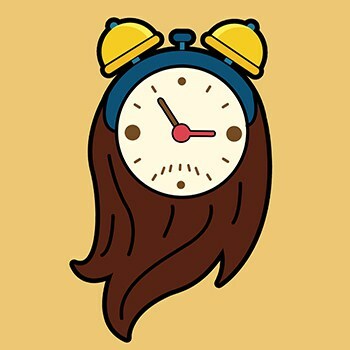 You will likely need to brush or comb your hair a little during that time, to maintain it. But broadly speaking, it is less of a time sink than many other methods of beard straitening out there. You will find some people are not overly keen on beard straightening creams. That’s because a huge range of them contain Formaldehyde, a chemical that is very good at relaxing hair – but is also considered a toxin. 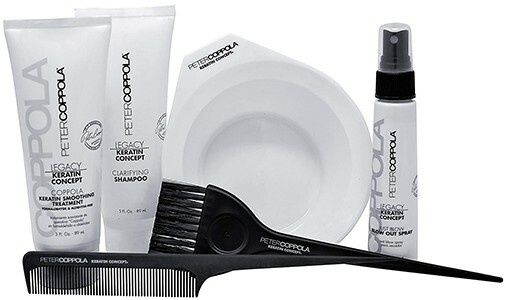 Personally, we wouldn’t be putting that crap on our beards, which is why we plumped for this product from Peter Coppola. It is Formaldehyde free, for a semi-permanent straight beard solution that won’t strip the inside off of your lungs. (Which to us is definitely a good thing). Yes it is still packing more chemicals than any other product on this list. It is also far and away the most expensive. But if you want a long-term, low maintenance solution for a straight beard, then this is one of the best options out there. See Customer Reviews on Amazon here. 1. 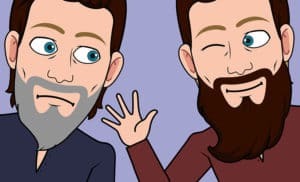 Why do I get a curly beard anyway? Seriously, genetics plays a huge role in the type of hair you have, so if you don’t like it, blame them. It also takes into account the DNA passed on to you by all your recent ancestors. So next time you’re home for Thanksgiving and your Grandma is asking when you’ll get a real job, you can cut her off and thank her for the crappy genes that passed on a curly beard just like hers. Nutrition can also play a big role, with minerals like Zinc and Vitamin A being examples of foods that are good for healthy beard growth. Whilst this may not automatically straighten your beard, it will make it healthier, thicker and stronger. That will help it respond better to whatever straightening tools and methods you use. But mainly it’s your Grandma’s fault. 2. 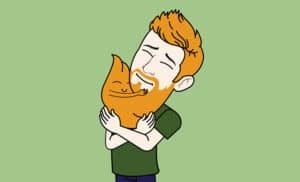 My beard is quite short, what is the best product for me? We would suggest that the shorter the beard the less mechanical assistance is required. It’s a simple fact that the less hair there is, the less effort is needed to tame it. 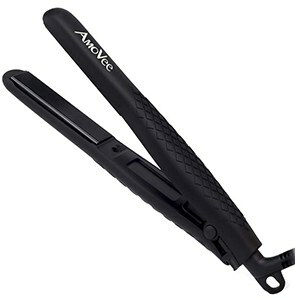 There is also the fact that things like the AMOVEE Flat Iron do need a certain amount of hair length to be able to work at all. For shorter and even medium length beards, we would suggest starting with either the Shave Before Grave Beard Brush and pairing it with either the Prophet Beard Balm Butter or the Bossman Beard Oil Jelly. 3. I’m in a ZZ Top cover band. Which one will work best on my big, bushy beard? 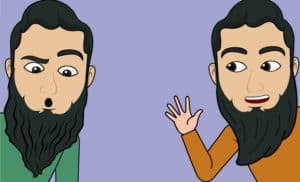 Now you are in a very different position to your friend above with the shorter beard. Frankly, a simple brush and a good dollop of beard balm are not going to have the strength to straighten your powerful beard. What you need is power. Nintendo Power! No wait, just regular power. You would be ideally placed to be using a device like the AMOVEE Flat Iron, CNXUS Hair Straightening Brush or the Andis Heated Comb. That’s because longer beards need that extra heat element to make them pliable enough to be straightened. You simply can’t get that with a normal brush, comb, oil or balm. So when your beard gets over a certain length, you have just got to upgrade the tools in your armory and bring in electrically powered help. 4. 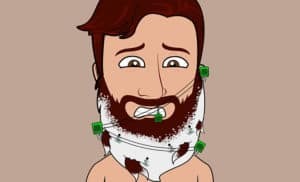 Should I be concerned about the chemicals in beard straightening cream? Yeah, we covered this in the section above when we looking at the product from Peter Coppola that made our list. Should you be worried about the chemicals found in some straightening creams? Yeah you should, especially if the cream contains Formaldehyde. Should you worry about the chemicals in the product we highlighted above, the Keratin Hair Treatment product from Peter Coppola? You can certainly worry about it less than some other products, as we went out of our way to find a Formaldehyde free formula. It is still loaded up with more chemicals than a natural solution like brushing. For that reason it’s up to you really. The benefits of this product are right there for anyone to see. There is less to worry about with this product, but if you are looking for a chemical free (or even simply less chemical enriched) solution to a straight beard, there are plenty of other options on the list.